Provides a strong statement of recognition that donors richly deserve. Use custom content, dynamic visuals, and engaging video to communicate your mission, your story, and how the donations help your organization. Why rely on text alone when visitors are used to seeing engaging photos and are willing to watch short videos to learn more about your organization, the people who have provided support, and the great programs that are a direct result of the generosity of your donors. 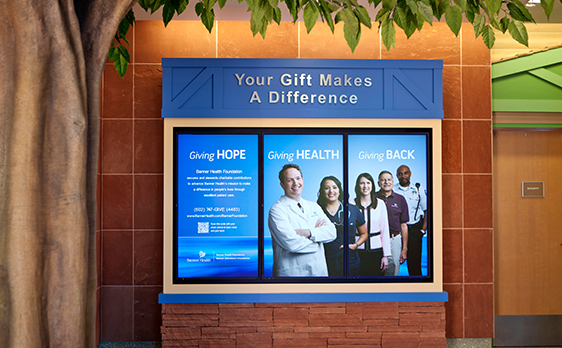 Donor recognition walls can be customized to meet the changing needs of any fundraising mission. Engaging Recognition Donors, Staff, and Volunteers. Everyone likes to be appreciated. With custom digital solutions you can provide recognition to donors, staff members, and volunteers in an ongoing effort to show appreciation and gratitude. 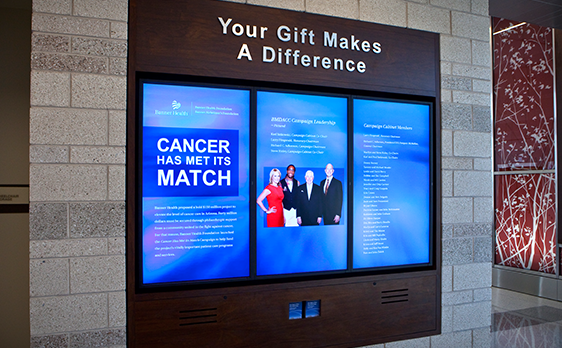 With a custom digital donor wall you can offer new and unique ways to recognize new donors in a cost-effective manner in real time. Tell Compelling Stories With Beautiful Images And Video. As technnology improves so does your donor wall. You’re not stuck with an outdated platform or one that can not expand as your organization grows. 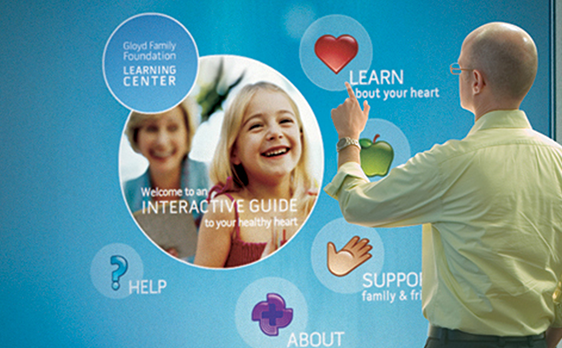 Many of our clients use the interactive capabilities of the digital donor recognition wall to allow visitors to learn more about the organization, see the people who have provided support, or discover how the organization is helping their customers and the community.